Painters Island Caravan Park is situated on the banks of the Ovens River and is connected to town via a footbridge. 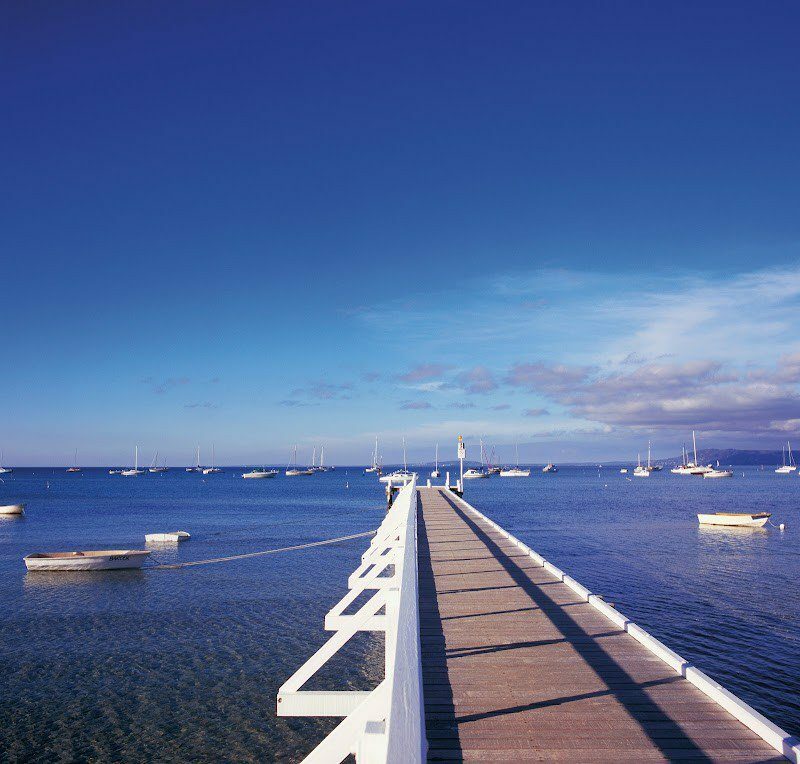 Painters Island Caravan Park have 140 powered and 30 non-powered sites, including drive through sites. There are also 18 self-contained cabins catering for families, couples, singles and contractors in the area. 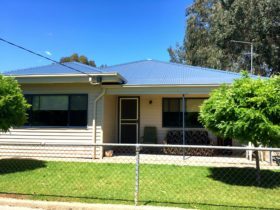 The park covers 20 acres of picturesque treed land is perfectly situated for such pursuits as bushwalking, cycling, fishing, golf, four wheel driving or just plain relaxing. The Mountain to Murray bicycle trail starts at the parks front gate. 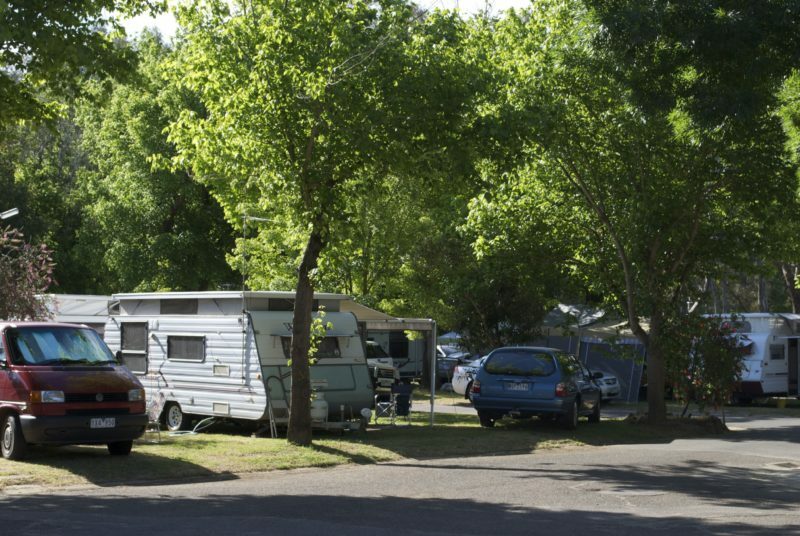 Painters Island Caravan Park is in the heart of Ned Kelly Country and close to historic areas such as Beechworth, Glenrowan and Rutherglen. The park caters to large groups and clubs as we have plenty of space for contractors working in the area and short and long terms stays, although not permanent. Please contact Painters Island Caravan Park for further information. Double bed in main living area with dining setting and couch. One set of bunks in kitchenette area. No ensuite bathroom but close to amenities in the park. Linen supplied to main bed only. Linen for bunks on request (small charge applies). A very large cabin with two bedrooms including one with a queen bed, the other with two single beds. Full kitchen with oven and large fridge. Large lounge area with dining setting and couch. Ceiling fan in main bedroom and kitchen area, air conditioning / heating in lounge area. Separate bathroom and toilet. Very big covered verandah with outdoor setting. All linen provided. Ramp access. Separate bedroom and bathroom from living area. One cabin has two single beds, one cabin has a double bed and three cabins have a queen bed. All cabins have a covered verandah with outdoor setting. 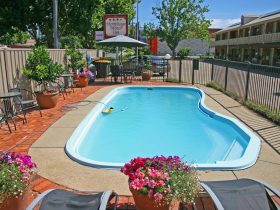 Fully equipped kitchens, LED televisions, air conditioning / heating. All linen provided. Separate main bedroom, three bunks in a passageway, separate bathroom. Kitchen / lounge area with dining setting and couch. Linen supplied to main bed only, linen for bunks on request (small charge applies). 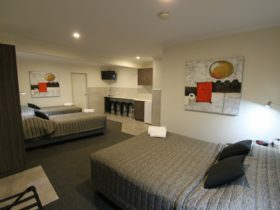 Two bedrooms, one with double bed and the other with double bed and single bunk bed over the top. Separate bathroom. Kitchen / lounge area, dining setting and couch, fully equipped kitchen. All linen provided. Air conditioning / heating and television. One Cottage has one bedroom with queen bed, the other with double bed and single bunk bed over the top. Spacious kitchen /lounge area . Bathroom. Fully equipped kitchen, large fridge. 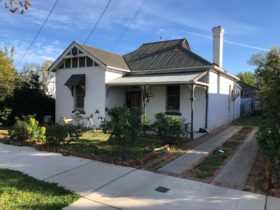 Very large covered verandah with outdoor setting. The 2nd cottage has one bedroom with double bed, 2nd bedroom has a set of single bunks. Spacious kitchen/lounge area. Bathroom. Fully equipped kitchen, large fridge. 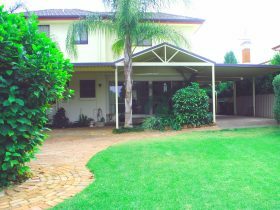 Very large covered verandah with outdoor setting. A very spacious cabin with two bedrooms including one with queen bed and the other with two single beds / single bunk over bed. Full kitchen with oven and large fridge. Bathroom with toilet. Large lounge area with dining table for six, ceiling fans in lounge and main bedroom, air conditioning / heating in lounge and main bedroom. Large television. Verandah with outdoor setting. $30 for two people on an unpowered site, off peak. 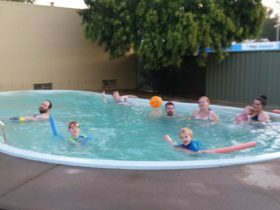 $200 is the maximum for five people in a Deluxe Family Cabin.